I was near Albany, NY when the flash crash of August 24, 2015 hit. I was on my way out to a retreat with friends in the White Mountains of New Hampshire. The stock market was down 5.3% the first few days after the open that day. Buying stocks quickly that day worked for me as I had put 10 good til cancel limit orders in before I left for vacation the day before because the market had already become jittery. All ten trades hit as over 765 stocks in the Russell 3000 were down more than 10%. I got stocks like Google (GOOG), Lockheed Martin (LMT) and Intel (INTC). There is certainly a strong argument for keeping open limit orders on our favorite stocks in case of such corrections. 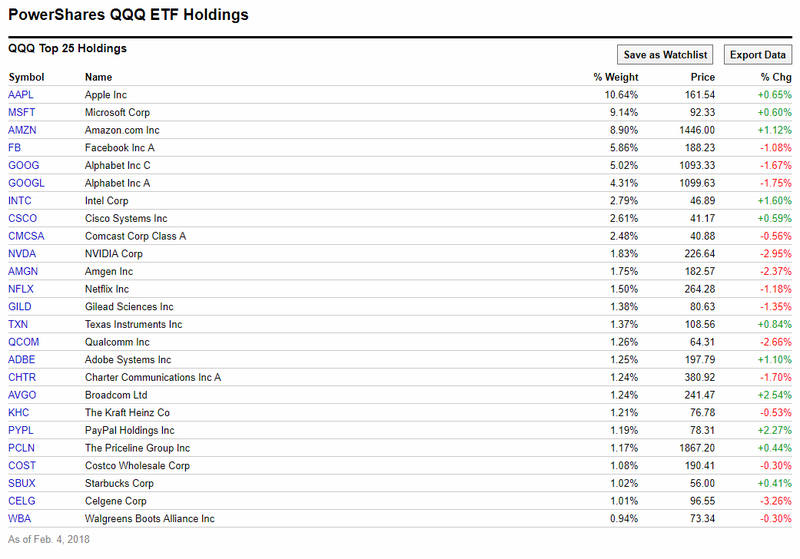 However, buying a few ETFs is probably the easiest thing to do on a correlated correction. 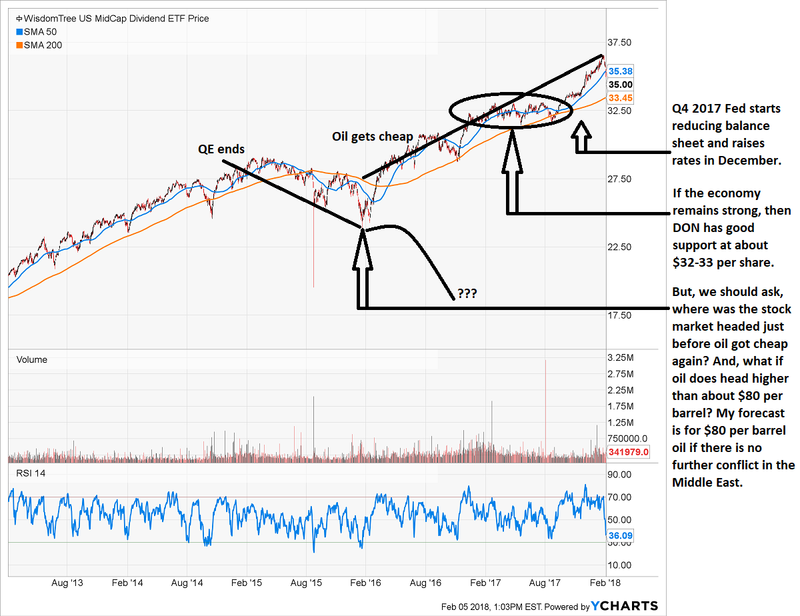 We can always sell off pieces of the ETFs and replace with stocks when we are ready. Here are some ETFs I have open good til’cancel limit orders in for, the reasons why and the price levels I’ve set. Remember, I’m 25% in cash because of the overvaluation of the markets. I have written extensively about the QQQ. It is a wonderful ETF that generally beats all other diversified ETFs. And while it is diversified, it is only mildly so, focusing heavily on technology, our favorite long-term industry. So, between Apple (AAPL), Googlebet (GOOG), Microsoft (MSFT) and Amazon (AMZN) that’s nearly 40% of the fund. On a flash crash, you want those companies. This is an easy way to get them, with some diversification thrown in. My good til-cancel buy orders are at $144 and $131 each for 6% of portfolios. 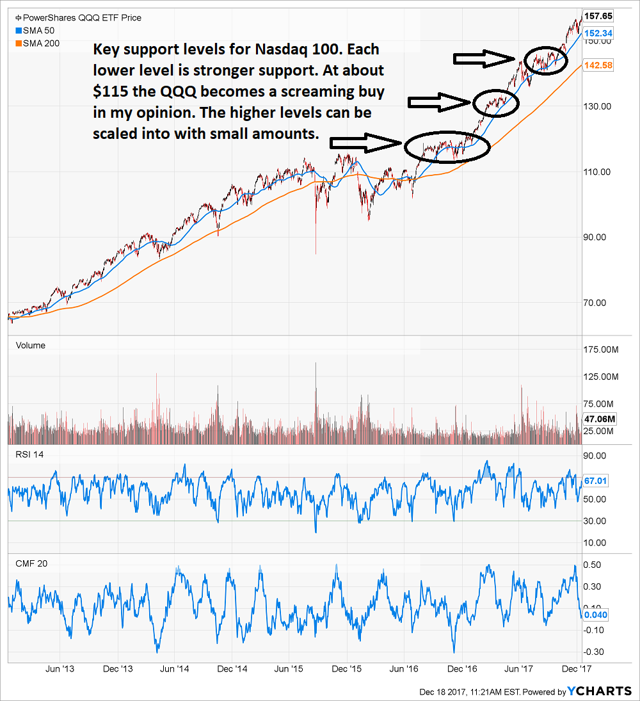 At $144 that represents about a 15% drop off of the highs of the Nasdaq 100. At $131 we’d be in full bear market territory, down about 23%. Here we would really need to assess the economic and market situations. However, if the market pulls back about this far, it is close to fairly valued and less risky long-term. I am happy to hold a lot of cash until we see about a 15% correction as I can make good money even holding that much cash and still have the cash for safety’s sake. If we would see $115 on the QQQ, or a 32% plus correction, I would again be assessing the situation and then considering whether it was time to buy LEAPs. 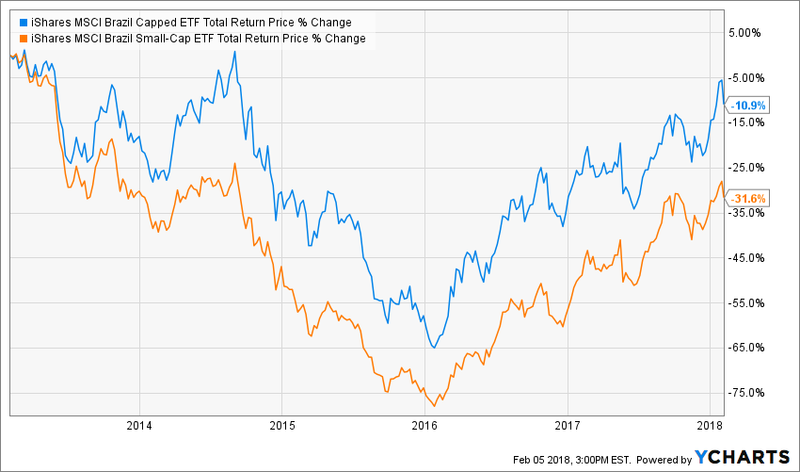 There is an argument to be made for buying a consumer discretionary ETF and a semiconductor ETF, however, buying QQQ has performed about the same the past 3 and 5 years, as well as, offers more diversification. Semiconductors are very cyclica, we want to pay attention to that in order to buy there. I spent hours of several days looking for the magical dividend ETF. I’m convinced it doesn’t exist. 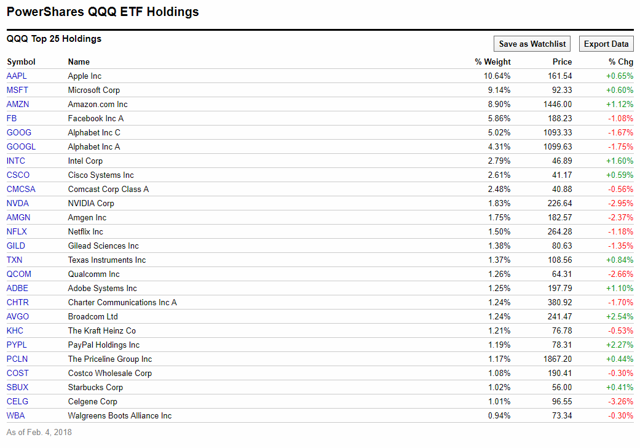 QQQ beats every single dividend stock ETF out there over every time frame for total return. The extra point or two in dividend simply doesn’t matter. Revenue and earnings growth does. 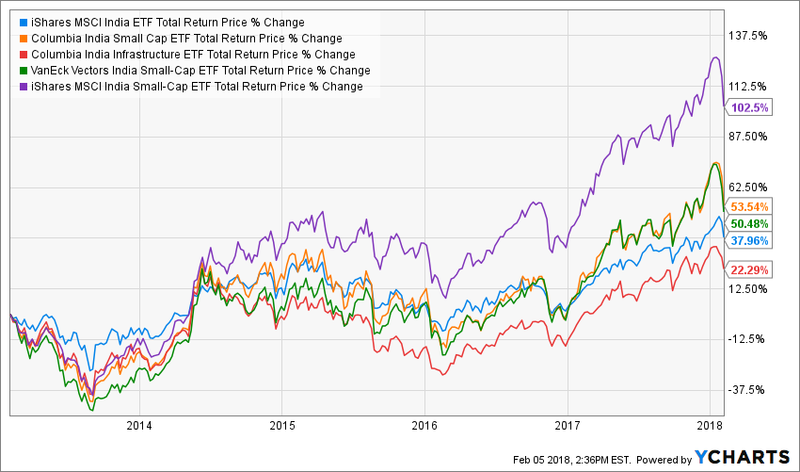 The closest I found to dividend ETFs that appeal to me at all levels are the WisdomTree U.S. Midcap Dividend ETF (DON) and the PowerShares High Yield Dividend Achievers ETF (PEY) which are near the top for diversified funds across all time frames, carry betas of .88 & .81 (meaning less market correlation), have been slightly out of favor the past year, offers higher revenue growth at the company level compared to larger cap dividend ETFs and gives us market cap diversification. If you want some of that, the price level I would target is about $32 per share for DON and $17 for PEY. Keep my notes in mind, as I’ll expand on those soon. 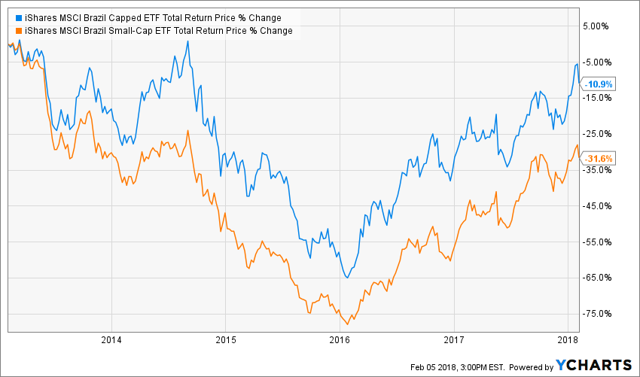 I think one of my problems finding viable dividend ETF options is that long-term, while the theories about dividend growth investing carry some weight, people’s emotional thumbs seem to be on the scale. Dividend growth investing, done as most people do it, that is, not really considering revenue and earnings growth, just doesn’t work. Ask General Electric (GE) investors. The funds out there are just not all they’re cracked up to be. 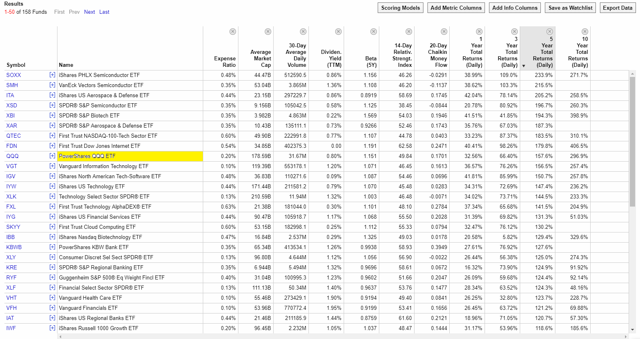 A lot of that has to do with the non-managed nature of ETFs. Here’s where we can make some real money with smart picking. 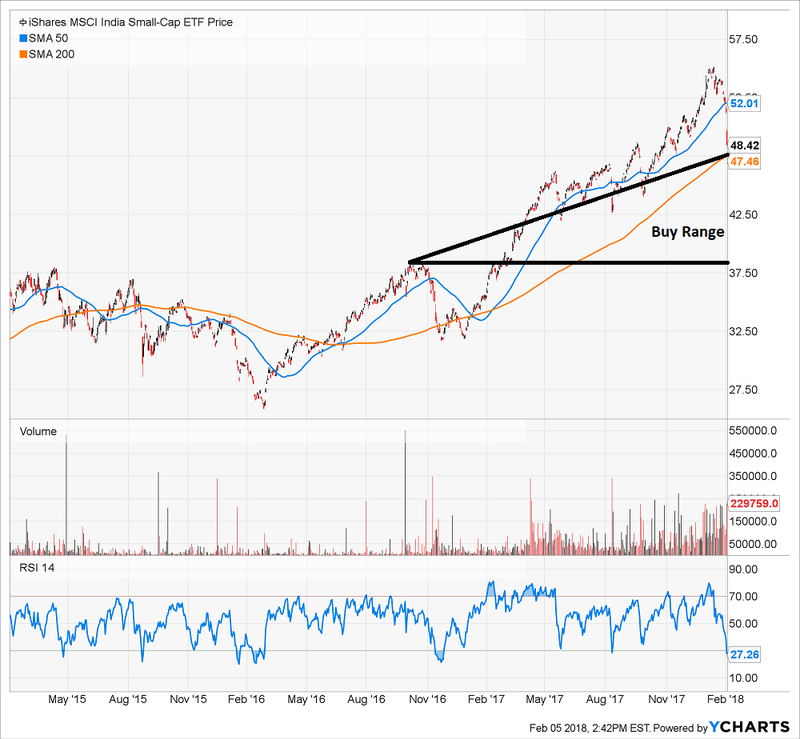 I have discussed the criteria in general for what I look for with international ETFs. 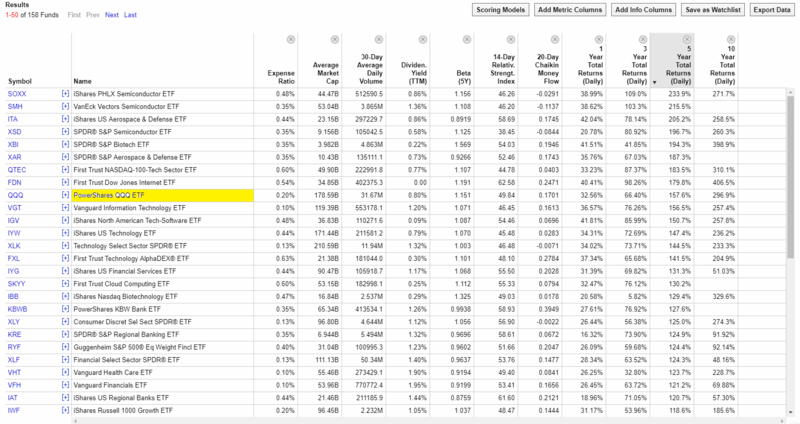 First off, when we use the “Core 4” applied to ETFs we want to pay special attention to the macro. With regional or country investing, we want to find a few things that are true. The first is that there is rule of law and property rights. This one eliminates a lot of nations. As much as I like the idea of investing in Russia or China from a pure investment standpoint, I don’t trust them and that’s a big deal. So, while I might put a few percent in those countries, the odds of me putting more there is slim. The next things I’m looking for are nations with educated young populations. That combination has proven more powerful than almost anything. I also like resource rich nations because that is a natural advantage that can’t be taken away. Interestingly, China fails both of these tests, while Russia passes. There are several nations that satisfy what I am looking for. The biggest is India. They have one of the fastest growing economies in the world and certainly fastest growing among large economies at over 7% (edging out China). 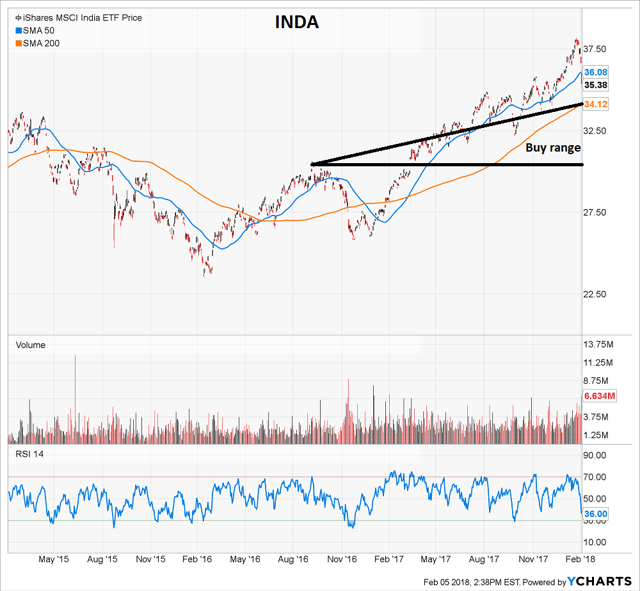 As you can see from this chart of several leading India funds, the stock market there has started to breakout the past year or so, and now there is a pullback that might be buyable soon. 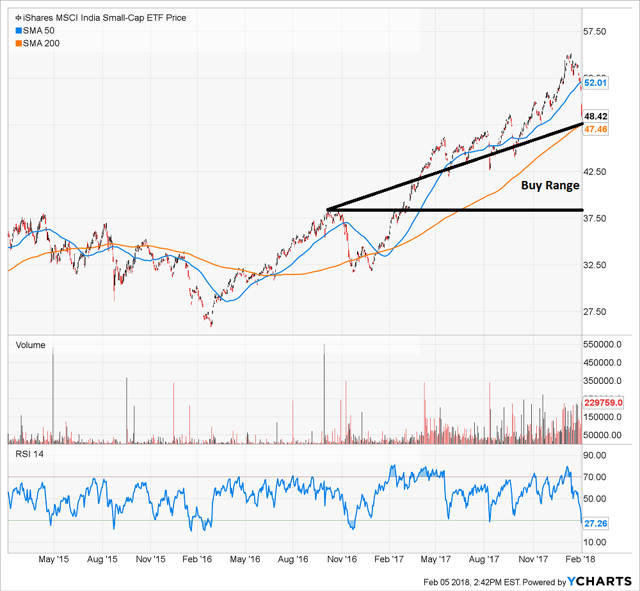 I like the iShares MSCI India Small-cap ETF (SMIN) and the iShares MSCI India ETF (INDA) for large caps. We can probably take a small nibble on SMIN right now. A nation on the mend is Brazil. They are resource rich and clearly a growing economy. They need more stability, but their growth could be spectacular in coming years due to a rebound in oil and needs for other natural resources, as well as, a young educated labor force. 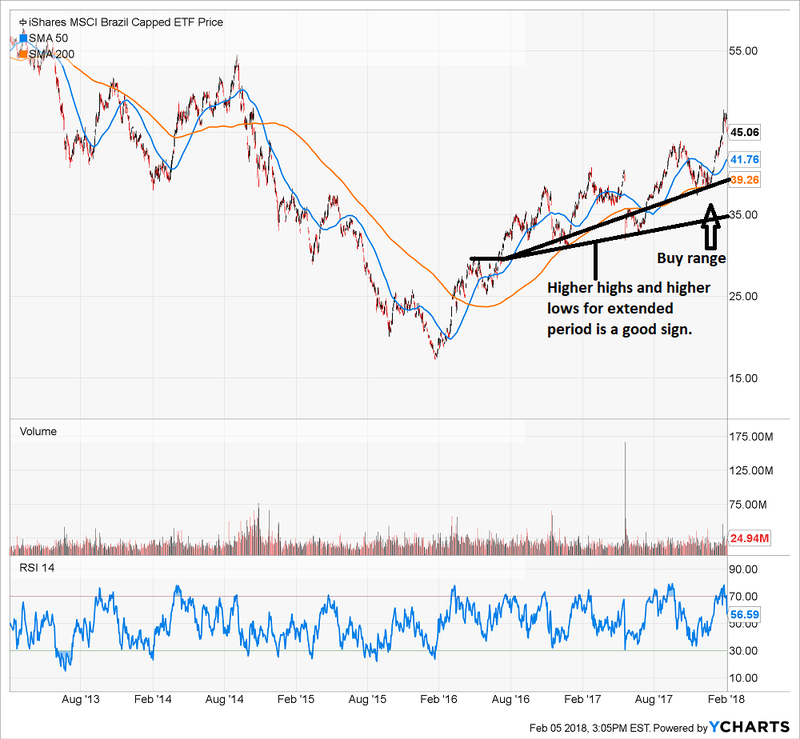 The small cap has outperformed a bit in the past year, but I like the large caps again now. There are smaller markets out there, but these are the ones that can add both gains and not add larger risks in my opinion. Yes, I like Canada and Australia too, but they are very similar to the U.S. and correlated to our oil investments, so not now for them. Disclosure: I/we have no positions in any stocks mentioned, but may initiate a long position in SMIN over the next 72 hours.